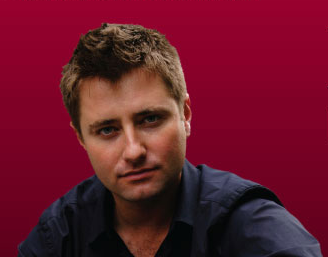 George Clarke tells Composite Door installers why ‘craftmanship’ is so important, and why the approach taken to this by IG Doors on their Truedor range was one of the reasons why he got involved with them. He believes it is one of the things which will benefit the installers of Truedor operating in an increasingly competitive consumer market. I am a very ‘hands-on’ architect. I like to get heavily involved with all the projects I take on, and I also like to know that the products which go into my developments are crafted using traditional skills. It is one of the reasons why I am excited to endorse the Truedor range from IG Doors. It is exciting to see that every door is crafted in Britain and finished to perfection. The dedication which goes into every individual door is really encouraging to see. Cutting edge technology is impressive and is a really important part of manufacturing to provide an affordable product for the end consumer, but there is nothing more satisfying to me than human hands applying the finishing touches to the end product. When I first went to IG Doors’ plant in South Wales it was one of the things which really jumped out at me, and it made me excited about the prospect of getting involved. It demonstrated to me that they share the same passion for high quality that I do; that they value traditional skills. It is a part of a wider understanding they have that in today’s world standardisation and automation are not the only ‘watch words’, and that tailored and bespoke solutions are very much the order of the day in satisfying ever more demanding consumer wishes. It is this different approach which attracted me, and it is this different approach which should attract you if you are a composite door installer. There is something really refreshing about a company which sets its stall out to be different, which is prepared to nail its colours to the mast and state that customer service from first to last is going to be one of their key principles. It is representative of a great philosophy, and one which will ultimately win out with the consumer. As an installer, being allied to this can only bring benefits to you too. Consumers want to choose products for their homes which they feel are personal to them. It is why the extent of the Truedor range is so impressive – there are styles for all property types, and a vast change in terms of personalisation. It is why Truedor online door designer is so popular; it supports the customer and gives them the opportunity to design a door which exactly suits their property and their personal style. It is also why the Truedor approved installer and gallery schemes are so important – they give the consumer an assurance that the installation of their door will be carried out to the same level of professionalism and skill as the manufacturer. Knowing that their door is hand finished and hand crafted is the icing on the cake for the consumer. It is something else which is personal to them and I totally understand why they attach so much importance to it, especially in today’s world where automation seems to be the order of the day amongst manufacturers often at the cost of true quality. There is something really exciting to me about knowing that every door is worked on by human hands and that someone will get the opportunity to make a personal statement to their end customer. It shows that they care, and that they have as much interest and the same sense of ownership in the product as the person who is buying it. It is one of the reasons why I am so happy to endorse the Truedor range.